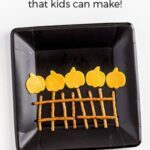 I am always looking for ways to entertain my kids in the winter when we don’t get outside as often. I have some great ideas this year. Here are five winter indoor activities your kids will love! I am a chicken when it comes to cold weather, so we don’t spend a ton of time outside during winter. This can often lead to bored or overactive children. So for my sanity and theirs, I try to have toys and activities that will keep them happily occupied. 1. 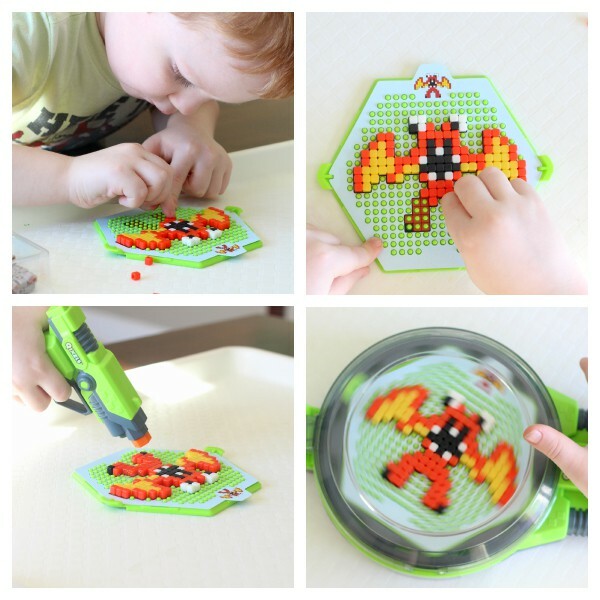 Play with Qixels – Qixels (pronounced “Quick-suls”) is a creative activity set that inspires kids to use their imagination with cubes that fuse together with a blast of water to create an 8-bit world of monsters, warriors, ninjas and more, all while stepping away from screens. To see more about how they work click here. When they arrived in the mail he was super excited to open them up and get to work making all kinds of characters. He immediately declared that he wanted to make a dragon. He found the template and began making it with the Qixels Design Creator. He absolutely loved using the Fuse Blaster to fuse the cubes together. Another highlight was using the Turbo Dryer to spin his creations dry. He had a blast pushing the plunger as fast as he could so that the dryer would spin really fast. 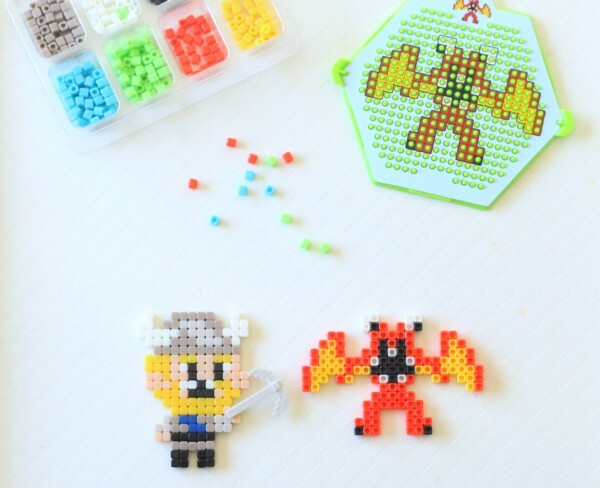 This activity isn’t just for fun either. The fine motor practice Qixels give is fantastic! 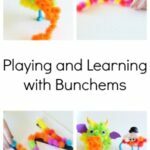 My son doesn’t like to do a lot of crafts or activities that require lots of fine motor control and focus. He often gets frustrated and moves on from the activity. Not with Qixels! These gave him a real challenge. However, he never gave up! He was so motivated to make a dragon or a viking that he pushed through with a bit of help from me. I love this about Qixels. So far I have not come across any other toy or activity that gives him the amount of fine motor practice this gives him. And not only that. He has actually made visible improvement in his fine motor control in the week we have played with this! We will definitely continue to play with these this winter! 2. 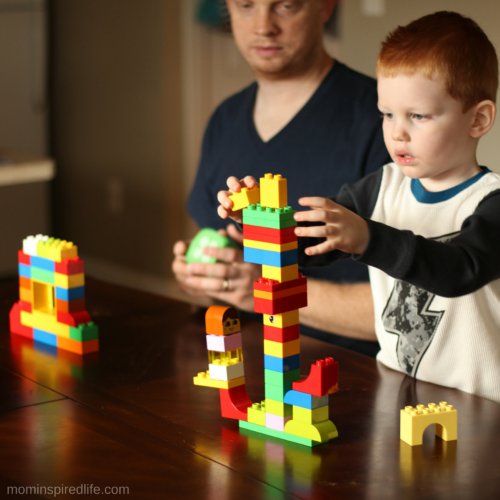 Play with Lego Duplo – These occupy both of my kids for long periods of time. They can even be used in move in learn activities. They are great for a wide range of children. My two-year-old enjoys them as much as my 4-year-old does! Besides free play and creation, we have a great time playing this fun Lego Tower Game! 3. 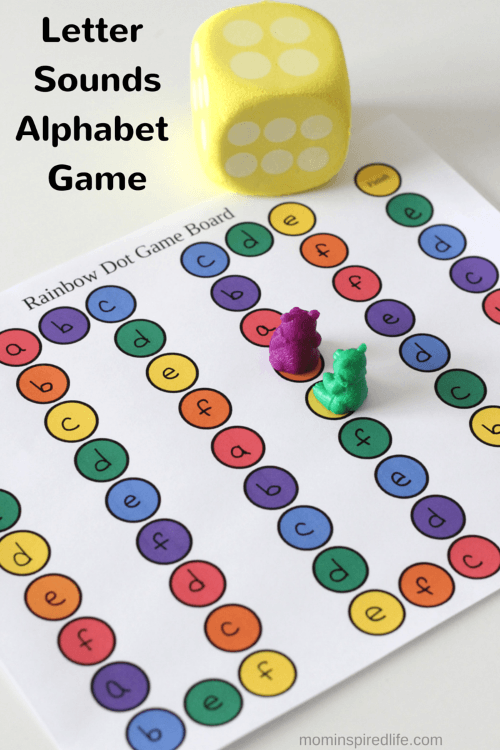 Letter Sounds Alphabet Game – This game is a great way to begin teaching your child letter sounds this winter! 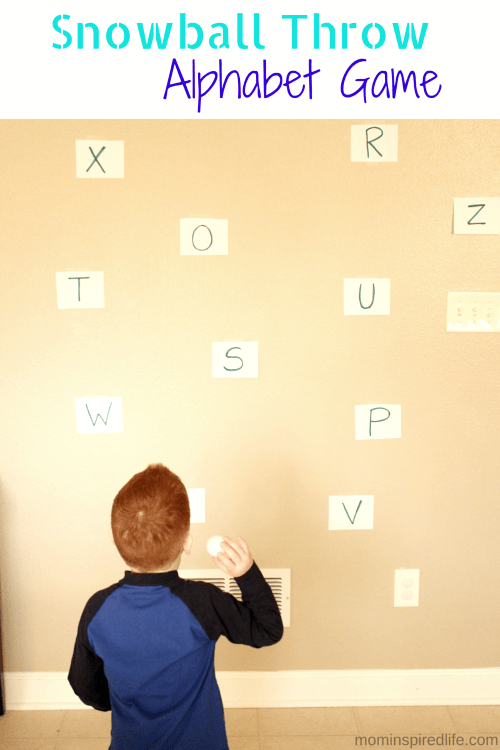 This is one of our most popular posts ever and one of my son’s most favorite alphabet activities. 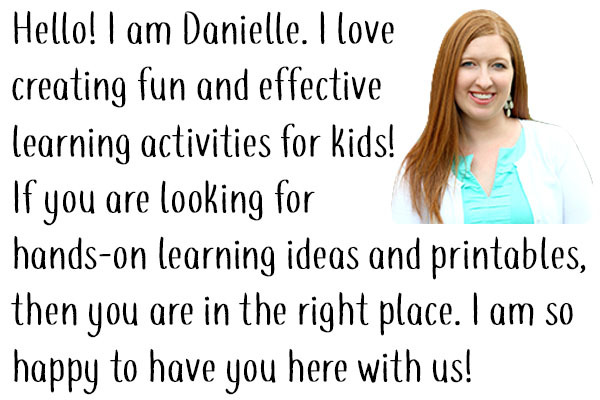 If your child is not yet ready to learn letter sounds, you can use it for simple letter identification. You could also use it to teach shapes, numbers, sight words, addition, subtraction, and more! The best part is that it is fun and often kids don’t even realize how much learning is taking place. 4. 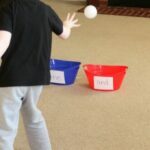 Snowball Throw Game – This game may sound like it should take place outdoors, but it’s a super fun indoor activity that is perfect for winter. All you need is index cards, a marker and some ping pong balls from the dollar store. It is excellent way to burn energy while learning! 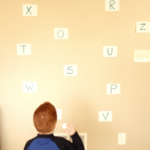 We used it to work on letter identification and letter sounds, but you can practice pretty much any skill with this. 5. 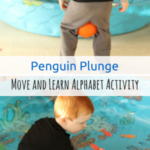 Indoor Move and Learn Activities – I have tons of move and learn games and activities on my blog and many of them were done indoors. They are a great way to burn excess energy this winter! 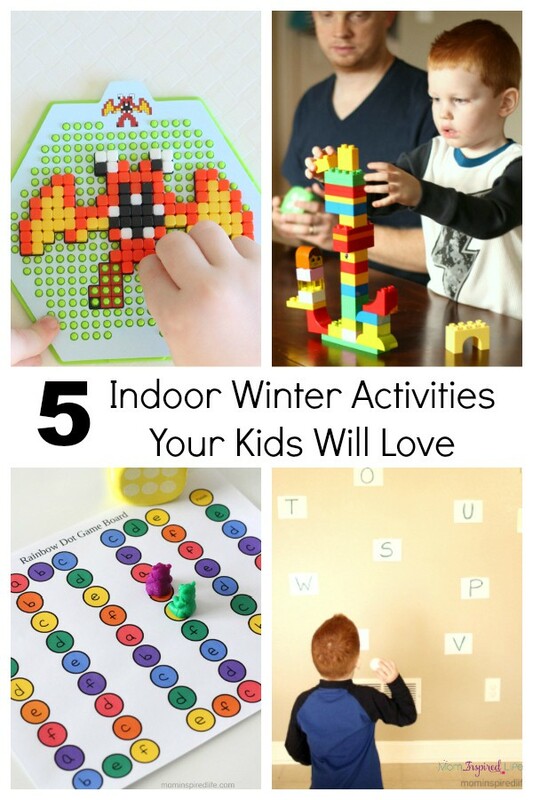 I hope this list of indoor winter activities will be a hit with your kids! I know we will be turning to them often this winter.